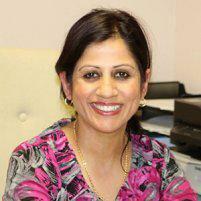 Dr. Sumity Sharma always appreciates feedback from her valued patients. To date, we’re thrilled to have collected 2 reviews with an average rating of 5 out of 5 stars. Please read what others are saying about Dr. Sumity Sharma below, and as always, we would love to collect your feedback. Dr. Sharma is amazing. She took care of my sudden tooth pain at irregular office hours. All staff in the office is warm and welcoming. Also I love that the doctor does deep cleaning with through and care.